1. Preheat oven to 350 degrees F (170-180 C). 2. Using a food processor (or equivalent method) create bread crumbs and chopped onions. 3. 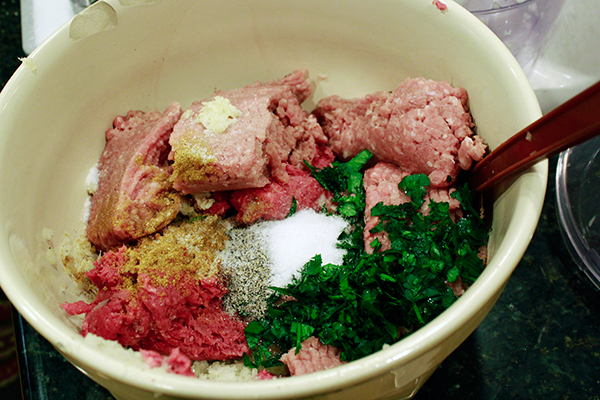 Combine meat, chopped onion, breadcrumbs, curry powder, salt and pepper, parsley, and egg in a bowl. Mix with hands (clean hands). .4. If the mixture seems a bit too dry add some of the milk and water until it has the rough consistency of slightly sloppier hamburger meat. 5. Once mixed, transfer mix to a loaf like container to be baked in. Make the loaf tallest in the middle and shortest around the side so the container. Bake for 30 minutes. 6. While the loaf is cooking, combine all sauce ingredients in a pan. Then bring to boil, and simmer for 5 mins. 7. After the 30 minutes, take the loaf out and pour out any liquid, then coat with about half of the sauce and bake for another 45 minutes. 8. 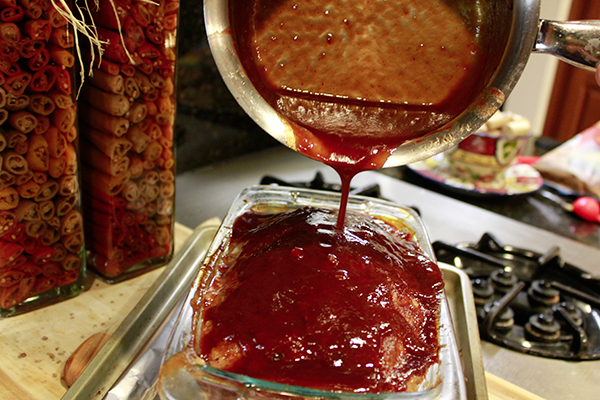 After the 45 minutes, remove the loaf and cover again with the rest of the sauce, optionally leaving some sauce to throw on slices of the loaf individually. 9. Enjoy with some mashed potatoes and maybe carrots and asparagus.